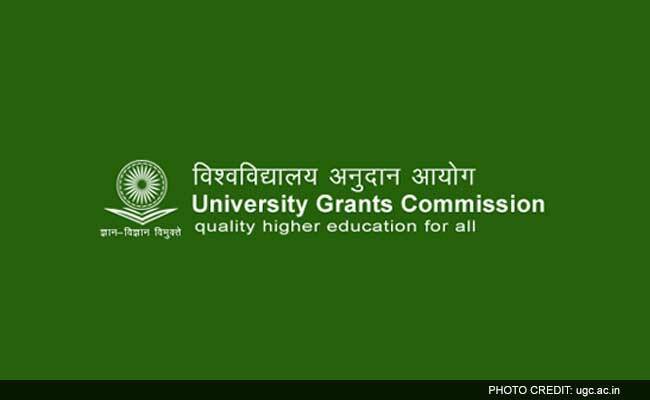 New Delhi: Going a step ahead to reform higher education in the country, University Grants Commission (UGC) has asked Universities and affiliated bodies to make their accreditation status online. Irrespective of whether they have an accreditation grade or not, the Commission has asked the educational bodies to make it public on their websites and 'in every material pertaining to the concerned institution for public information.' This also includes those institutes who are eligible but have not applied for the accreditation. 'One of the important dimensions of the reforms is to have stakeholders access to relevant information related to Higher Educational Institutes (HEIs) to assist them in taking informed decisions,' said PK Thakur, Secretary, UGC in the letter addressed to Universities. UGC has been proactive in upgrading higher education in the country. As in December 2017, the Commission has listed 23 fake universities in the country which includes Bhartiya Shiksha Parishad, Lucknow, UP and Indian Institute of Planning and Management (IIPM), New Delhi. Under the Human Resource Development Ministry's ambitious 20 world-class institutions project, UGC had received more than 100 applications including seven IITs. "Overwhelming response to the idea of institutions of eminence. This is how world-class universities were built in various countries. The same thing will happen in India," Union HRD Minister Prakash Javadekar had said, then. The UGC had in September started inviting applications from all institutions that are keen to enter the top 100 of global rankings with the government's assistance. The Centre wants to establish a total of 20 'Institutes of Eminence' -- a distinct category of deemed-to-be-universities, supporting them to become "World Class" institutions.